Homeowners are aware of their monthly utility bills because costs creep up in the winter when the furnace is burning, and they creep up again in the summer when the air conditioning is chilling. You can help lower your utility bills, and those of your tenants, by making some low-cost changes to your property. A solar electrical panel may create noticeable savings in your electrical bill, but it does have a significant initial cost. Fortunately there are many energy-saving strategies available, and you can become “greener” and save money with minimal time and money investments. When you know how much energy your property is consuming and what is using it, you can save energy more easily. If you hire a professional to perform a home energy audit, you will receive a return on your investment because you will receive a list of items you can change to cut consumption. Check with your local utility company for an audit at low or no cost, or hire an independent professional. Tune up the HVAC system yearly. Change HVAC filters every three months. Seal the heating and cooling ducts to stop leaks. Check the roof insulation and add more as needed. The quickest and easiest way to save energy, and money, is to replace incandescent bulbs with compact fluorescent bulbs (CFLs) or light emitting diodes (LEDs). These long-lasting bulbs convert most of the energy they use into light rather than heat. 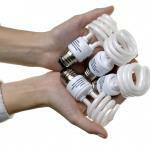 CFLs and LEDs use about 75 percent less electricity and last up to 10 times longer than standard bulbs. 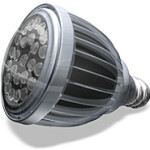 Although CFLs cost more to buy, if you replace a 75-watt incandescent bulb with an equivalent output 25-watt CFL, you could save $83 over the life of the CFL. A dripping faucet seems so inconsequential, but you may be surprised to know that four drips per minute wastes 138 gallons of water a year. A constantly running toilet may waste up to 200 gallons a day. 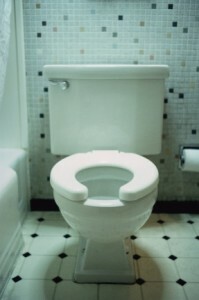 Repair the running toilet and save $30 a year and 73,000 gallons of water. Modern low-flow toilets have an effective and efficient design; however, they are a little pricey. This low-cost idea will act like a low-flow without the costs. Place a filled plastic water bottle into the toilet tank. The bottle will displace water and save that amount on each flush. The bigger the bottle, the more you save, but you may have to experiment the find the optimal size for your particular toilet. 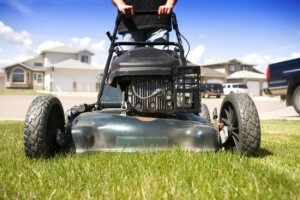 Running your lawnmower less will make your lawn, and your planet, greener. Most grass species are happiest when cut to 2 1/2 inches high. Longer grass blades absorb more sunlight, making for a stronger and deeper turf. You can also use less water on your lawn because the grass roots run longer and deeper. You can also save more money and keep the planet a little cleaner if you let grass clippings lay on the lawn. During decomposition, the clippings add nitrogen to the soil, so you need less packaged fertilizer and weed killer. On top of this, you’ll keep waste out of landfills. Californians alone dispose of 12 million tons of compostable materials annually. When it is time to replace a household appliance, choose a product with an ENERGY STAR label. Sponsored by the EPA and the Department of Energy, the ENERGY STAR program rates products from light bulbs to kitchen appliances. ENERGY STAR labels guarantee that products are energy-efficient. For example, a battery charger labeled with the ENERGY STAR logo will use 35 percent less energy than a standard one. You may even be eligible for a tax credit when you purchase an ENERGY STAR product. Average household savings are $570 annually. Sealing and insulating the “envelope” or “shell” of your home (the outer walls, ceilings, windows, doors, and floors) is often the most cost effective way to improve energy efficiency and comfort. Seal air leaks throughout the home to stop drafts. Add insulation to block heat loss in winter and heat gain in summer. Choose ENERGY STAR-qualified windows when replacing windows. If your attic is accessible and you like home improvement projects, you can do it yourself (DIY) with help from Energy Star’s DIY Guide to Sealing and Insulating. The guide offers step-by-step instructions for sealing common air leaks and adding insulation to the attic. You can also hire a contractor who will use special diagnostic tools to pinpoint and seal the hidden air leaks in your home. The easiest way to save money on your power bill is to reduce energy use. Too simple? Most of your electronic devices still consume power even when they are turned off or only showing the time of day. This is called “phantom drain” and refers to the energy consumed to power the device to an “instant on” condition. The only way to completely turn off these devices is to unplug them. You can plug your home entertainment center into a power strip that has an ON/OFF switch. However, unplugging your toaster and other basic devices will have no effect, they are either ON or OFF. These simple steps add up to benefits over time. Real Property Management is the nation’s leader in property management. We know how to maximize the income from your real estate property investments and help you maintain their value. Give us a call or fill out the form below for expert advice and more information on professional property management services.